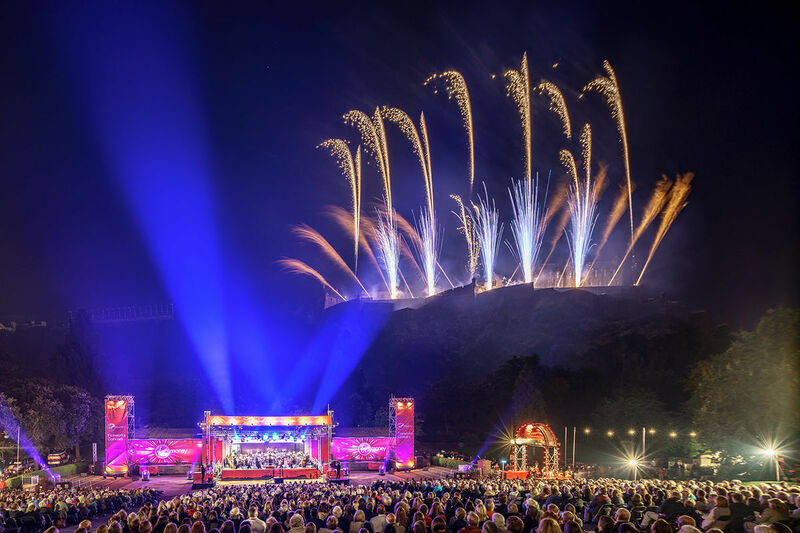 Beautiful gardens under the Edinburgh Castle at the heart of Scotland's capital are the best place to watch the Virgin Money Fireworks Concert marking the grand finale of the International Festival. Travel restrictions and bag searches will be in place for the Virgin Money Fireworks Concert. Please arrive in good time. Further information can be found on this page closer to the event.